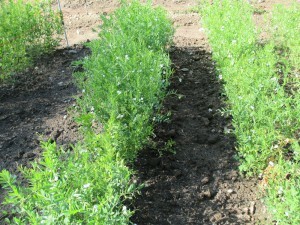 This is a selection of lentils I trialed this season. 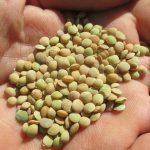 Northern Indiana is not the best area for growing lentils, due to the early onset of hot temperatures and rainfall in the spring/early summer. 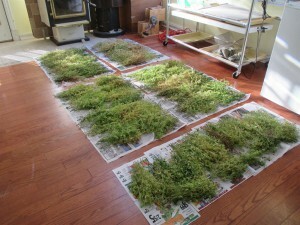 I direct seeded all of these on March 30th. I was surprised at how well they did. 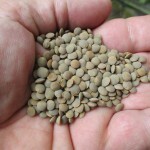 I am offering small amounts of seed for each of these varieties for those who want to experiment. My best advice for those in the Midwest, is to plant as early as possible. Keeping them weed free is also essential for a good crop. I also supported mine to keep them out of the dirt during heavy rainfall. This might not be an issue if planted closer together. The small plants send out tendrils and grab on to each other. 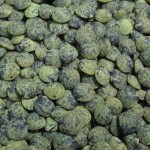 In effect, they become self supporting, similar to field peas. 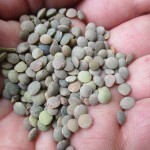 The original seed for these varieties came from KUSA Seed Society.